Put a finishing touch on your outdoor living spaces by adding a decorative hand railing. 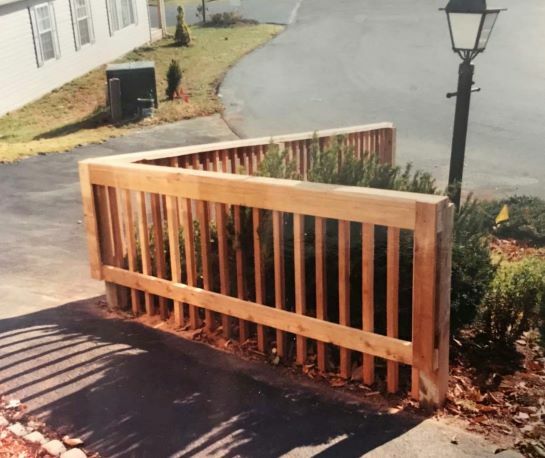 Hand railings come in as many style options and color variety as fencing does and has just as many accessories. 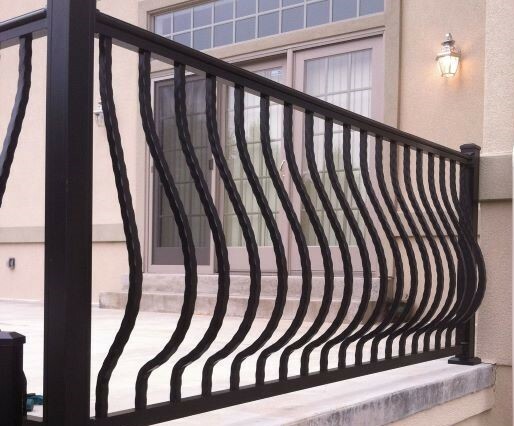 Many of the same vendors we use for fencing carry hand railing products. Hand railing top and bottom rails are reinforced with aluminum channels and have a wide top rail making the railing easy to grip. Vinyl styles meet building codes, are ADA compliant and fully warranted. A large baluster selection has a style to suit every style of home, including aluminum balusters and glass panes. A more open viewing area and even larger color selection is causing aluminum hand railing to grow in popularity. The railing is made from a heavy wall extruded aluminum and has one of the highest quality powder coatings available. Styles meet building codes, are ADA compliant and fully warranted. Aluminum hand railing also has an extensive variety of baluster styles including sculpted balusters, glass panes and an optional deck board top rail kit. Key Link’s stainless steel cable railing is an excellent choice for a modern or contemporary feel. Their unique engineering system allows cables to run through posts with minimal fitting enhancing the sleek look of a cable railing. This railing is offered in up to 4 colors and at 36” and 42” heights. Although wood railing lacks the maintenance free quality that vinyl and aluminum hand railing’s have, wood railing is sometimes a more economical choice and by far the easiest style to customize. Matching an existing style can be done with either cedar or pressure treated. Cedar wood railing looks beautiful stained or sealed and pressure treated does well painted. Another economical choice for railing, pipe railing offers the most minimalistic style with it’s simple design. Though there are only few colors to choose from, pipe railing is solid and remains reliable over the years. Porch Posts and Columns- Wrap pre-existing wood support posts in maintenance free vinyl or replace them altogether with vinyl structural posts to match any style hand railing. Or step up your front porch’s appearance with a round or square vinyl column, complete with trim and ring kit. Secondary handrail- When an extra handrail is required for extra support in getting up a flight of steps, a round secondary handrail can be ordered to match your specific railing and mounted to the inside during installation. Decorative caps and lighting- Some railing designs call for shorter posts to be used in between structural support posts. These short posts offer an opportunity to dress up your railing with a decorative or solar post cap. Highlight the beginning or end of a flight of steps or a unique potted plant. Pictured is the Arabian Series railing in black with hammered bowed balusters. Railing sits 3'h and includes internal concrete mounting brackets in each post. 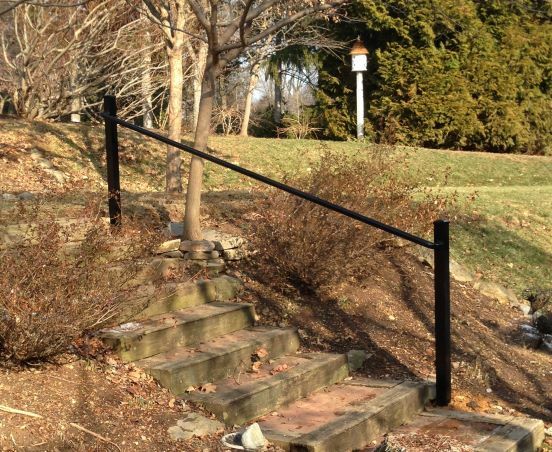 Black powder coated continuous handrail with 2.5" square posts.